If you have enough money and don't have to do a single daily just to have money, you don't have to keep on reading. Yet if you depend on dailies or grinding, it's time to make some serious changes with your professions. 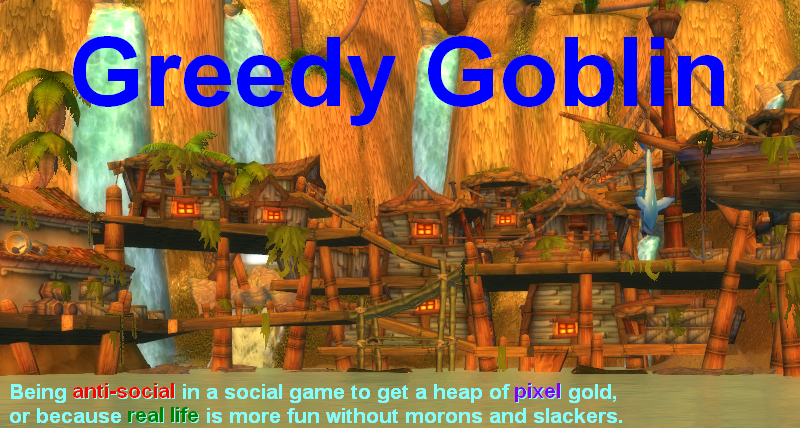 Gathering professions (Mining, Skinning, Herbalism, Fishing): you don't need anything else than free time to make money. You fly around seeking nodes to mine/herb, stand next to a popular questing spot where people are required to kill animals and skin these, or casting your line into pools. When your bag is full, you fly back and sell the products. Don't forget to check which form of the product has the highest price, sometimes bars sells higher than ores, and heavy leather higher than normal. Engineering might fit a bit to this group since you can extract motes from clouds. AH-only professions: (Blacksmithing, Enchanting, Engineering, Inscription, Leatherworking, Cooking). You can craft exactly what every other guy with this profession can (5-10% of the server). Theoretically you can make 0 profit from these professions. Of course you can make profit since most of these possible competitors don't bother scanning the AH, seeking craftables that sell. So making money from these are actually making money from AH-business and not the profession. You can make money from these without having the profession. CD-ed professions: (Mining: titansteel, Alchemy: transmutations, JC: daily quests, Tailoring: cloth creation). The cooldowned items are in short suppy, since most competitors ignore them and the others can only create 1/day (or/4days). If you have these professions, you can have a stable 100-200G/day income for 5 mins. Of course you can trade with the rest of the craftables too, just like in the previous point. Is 100-200G/day extra is enough for you? If yes, level one of the cooldowned professions and enjoy financial freedom. If not, which do you prefer (hate less)? Spending lot of time seeking nodes/animals/waiting for the bobber or learning the AH and risking losing money now-and-then? After you made your choice, drop the profession that does not fit into the scheme. Yes, you may spent lot of gold and time level it. But it does not serve you. Profession is a mean for an end: to get you money. That slvl 230 BS that you will level "someday" does'nt serve you. That slvl 450 herbalism that you leveled during questing but since lvl 80 you did not picked a single flower serve you no better. Drop everything you don't use! Level your new profession fast! If it's gathering, take a deep breath and seek nodes/skins until you reach at least 375 to be able to gather in Northrend. If it's crafting, check the AH often for materials. I'm not suggesting to buy materials for 200% price, but don't hesitate to buy if the price is acceptable. Low level profession does not make money for you. Always check what sells. Sometimes it's more money to mine Mithrill in lvl 50 zones than fighting for cobalt. With crafting you can get some selling tips here. 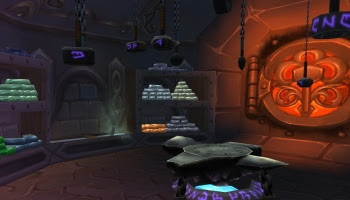 If you want to level herbalism or mining to 420 to be able to pick saronite or lichbloom, you can do it fast picking top lvl 70 herbs in Netherstorm or Isle of Quel Danas. You can also mine quest nodes on Netherwing ledge, Shadowmoon Valley (needs flying mount). Just a note when leveling herbalism (I don't have experience with other gathering skills): don't go to Northrend at 375. You can raise it well over 400 in a short span of time picking netherbloom, and then you won't be hunting all over for goldclover. You can skip right to the most profitable areas you can survive. I know, you don't like the Netherdragons. But, their island is full of the quest ore nodes which can be used to skill up to at least to 430. It staies longer yellow than adamantite (non rich). amusingly enough - 2 of my most profitable professions turned out to be alchemy (herbalism by proxy) and tailoring. I actualy started leveling some of my low 70 alts again on the isle of quel danas instead of northrend because in adition to super easy experience they get with a little bit of gold, I also end up with a few stacks of netherweave. I tried your netherweavebag selling technique and they litteraly sell faster then I can list them (let alone make). as for alchemy - my alchemist alt is elixir's master. originaly, she was made that way so that I could have almost unlimited low cost elixir supply for my raiding main. leatherworking hasn't been making much, but then again - I haven't actively tried, prefering to rather to take an oportunity of someone looking for a crafter when I happened to be in the area. JC didn't make any money recently (unless you count making loads of stonegard bands, DEing them and then selling dusts and essences), but that's becasue I haven't been focusing on it. however, it saved me a great deal of it, by being able to cut all of my own gems. All in all - I think I'm going to keep my gold making focus on flasks (we have a healthy number of raiding guilds on our server, more people are starting to raid every day and not everyone chooses to spend time it takes to get the mats to have things crafted), enchanting mats and suplement it netherweave bags. P.S. my enchanting is 325 - its more then enough to DE everything up to northrend greens and selling mats is what'sbeen making me the most money - to that end, I disagree with you that professions must be trained higher in order to make proffit. enchanting will actualy start bringing in loss, if i level it past 350. I'm glad another enchanter is making a killing in our crazy markets. However, don't sell the 325+ market out just yet. That market segment actually makes me more money than all the lower segments combined. When I can buy a sword for 10g and DE it into 2 GCE that sell for 25g each, it's hard to touch that. Happy selling! I stand corrected. at the time I started DEing stoneguard bands - i leveled up my enchanting to 350 (I like to keep my professions leveled whenever I get extra mats) - which is the lvl of enchanting it apparently takes to DE them. before that - I was DEing every low level northrend green that dropped for my main and favorite alternate, in course of questing and leveling, and that only required 325 enchanting. If you're going to power level a gear crafting profession, have an encahnter on standby. Your friend, your partner, your alt. Disenchanting can help you recoup some of the losses you will take when you grind-craft items to skill up. I took one of my alts and poured a tonne of money into her enhcanting, and now all she does is DE greens I get from random drops and items I make to get skill points. And I do a nice side business in DEing things for my guild. They make money which they then spend on stuff for the guild bank or stuff to make themsleves better raiders, which makes my raids go better and nets me more gear. Also, they like to tip me too, which is nice. And to be honest the small amount of time I invest in helping DE stuff for a guildie when I'm already on that alt DEing my stuff, is worth the goodwill they feel towards me and towards the guild. "Any profession that is below slvl 350 made you nothing at all"
I made my first steps into the AH with a level 20 char which I was not leveling so that I wouldn't get ahead of my RL mates who couldn't play as much. I made thousands by DEing greens and selling the mats back. Its not big bucks given what you can do now, but it was a good start. I believe low level inscription can also make you some money (particually if you have the time for the minor glyph research).